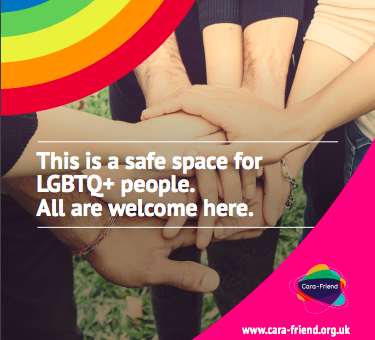 Cara-Friend has developed a number of posters to promote visibility and positive messaging around LGBTQ+ safe spaces. 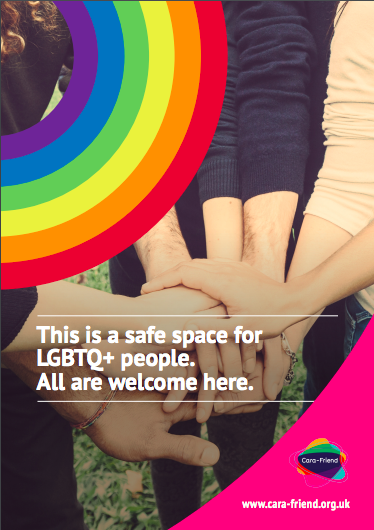 This poster, specifically designed for spaces where LGBTQ+ people may access services, is designed to enforce the message that all LGBTQ+ people are welcome here. The place where the poster is displayed should be an LGBTQ+ identity affirming one. All spaces and places should be safe for all people. 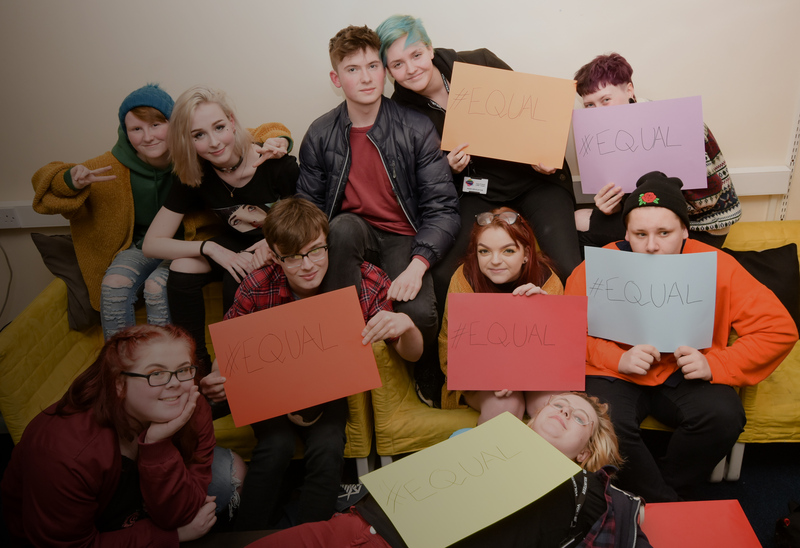 Organisations who wish to improve the LGBTQ+ inclusivity of their workforce can avail of LGBTQ+ Awareness Training from Cara-Friend. Check out our Education and Training page for more information.